IRVINE, Calif. - Nov. 1, 2018 - PRLog -- Umberg Zipser (U/Z) is pleased to announce that the firm has been ranked Tier One in the "Best Law Firms" list by U.S. News & World Report and Best Lawyers® for the Orange County metropolitan area. The firm has received this recognition each year since it was formed. The ranking showcases top law firms recognized by clients and peers for delivering professional excellence and for high quality ratings. The rankings indicate a unique combination of quality in practice and legal expertise. 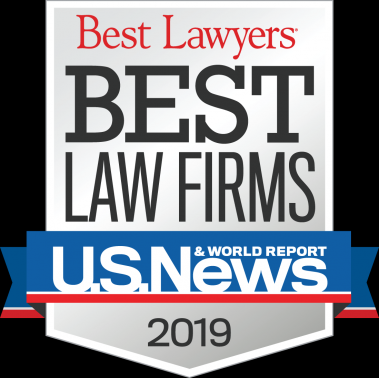 In 2019, the firm again received three Tier One rankings in Commercial Litigation, Intellectual Property Litigation, and Real Estate Litigation. "It is an honor for our firm to be listed again as one of the Best Law Firms in Orange County. The continued recognition from our clients and peers is affirmation of the trusted advisor role our team endeavors to provide for our valued clients," said co-founding partner Dean Zipser. One U/Z client commented, "When you go to a lawyer, you are upset, anxious, and confused. You need someone to take over for you, to know what to do, and how and when to do it so your case comes to a swift yet successful close. That law firm is U/Z. The people who work for this firm like to help people, and not just close cases. They understand the stress a lawsuit can bring to a person's life, and will reassure and walk you through the steps with courtesy. Their lawyers are experts in every area of the law. Their staff is friendly, yet professional, and obliging. I recommend U/Z wholeheartedly as the Best Law Firm in not just Orange County, but as the Best Law Firm. Period." Another client commented, "Umberg Zipser is an excellent firm that provides highest quality legal services in a timely and efficient manner. The attorneys at the firm are all stars in my book." These comments were collected as part of the U.S. News — Best Lawyers® "Best Law Firms" research process. Zipser for "Bet-the-Company Litigation," "Commercial Litigation," "Litigation – Banking and Finance," "Litigation – Intellectual Property," and "Litigation – Real Estate."